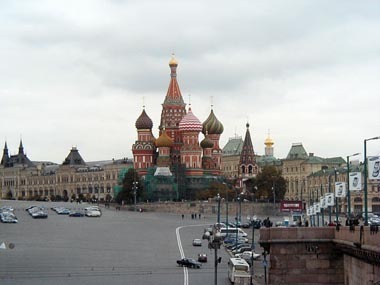 Sightseeing in Moscow and St. Petersburg. Breakfast daily, one (1) lunch and three (3) dinners. Standard class high-speed train from Moscow to. St. Petersburg. Touring by a modern air conditioned motor-coach. 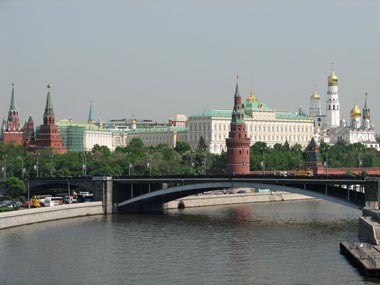 Moscow, one of the largest cities in the world, is the symbolic heart and soul of the country. 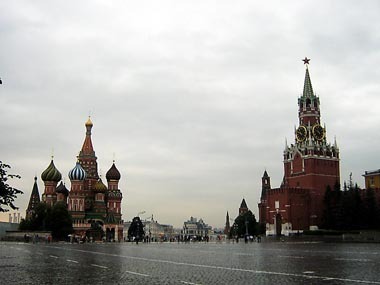 Your sightseeing tour begins at Red Square, dominated by colorful St. Basil's Cathedral and by the massive red walls of the Kremlin. Visit the Armory Museum, with its impressive collection of Tsarist, Russian, and foreign jewelry, armor, and other artifacts. Then walk by Moscow University. Continue with a drive along the wide boulevards and a stroll through GUM, Russia's largest department store. Continue, on the north bank of the River Moskva, passing by baroque Novodevichy convent; ending the tour at the popular Arbat shopping district, time to shop or enjoy lunch on your own. The rest of the day is at leisure. There are not many cities in the world that can match the grace of St. Petersburg. When Peter the Great founded the city in 1703, he hired Europe's best architects, craftsmen, and artists to build and decorate it. Spread over 100 islands and linked by over 600 bridges, it is often referred to as the “Venice of the North.” Today the main sites to be visited are Palace Square with the Winter Palace, Senate Square with the monument to Russian Emperor Peter the Great, the founder of the city, St. Isaac's Square with St. Isaac's Cathedral, Smolny Cathedral, Cruiser Aurora, Field of Mars, and Nevsky Prospect. Visit also Peter and Paul Fortress; built in 1703 on a small island, it was meant to protect the city from enemy attacks. Peter and Paul Cathedral towers in the center of the fortress and is nowadays used as the burial place for Russian Emperors. Your evening is free or perhaps join an optional Evening Canal Cruise. This morning you'll make a highlight visit to the world famous Hermitage, housing more than four million works of art. It ranks among one of the largest and oldest museums of the world, founded in 1764 by Catherine the Great. Admire the world-famous masterpieces by Leonardo da Vinci, Rafael, Titian, Rembrandt, El Greco, Velasquez, Rubens, Van Dyck, Goya, and French Impressionists. The Hermitage occupies five buildings, the largest is the Winter Palace, the former residence of Russian Emperors. 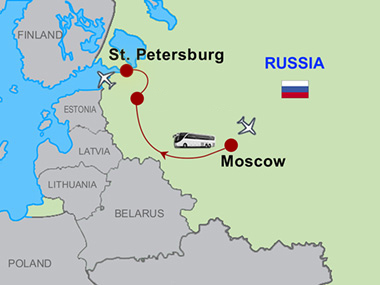 Spend the rest of the day at leisure exploring the city on your own or perhaps you may choose to take an optional tour to visit Catherine Palace & Park in Pushkin or to Petrodvorets, Peterhof Summer Palace of Peter the Great. Tonight join your fellow travelers in a farewell dinner. 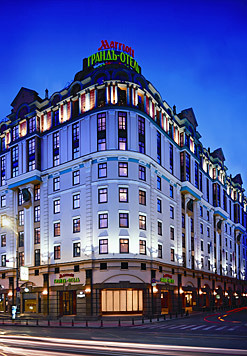 Please note, in St. Petersburg, that Courtyard by Marriott Center West Pushkin may also be used. You will be advised what hotel is used on receipt of your travel documents. Departure date is the date one would start touring in Moscow including any pre/post nights. Does not include air travel. Please note, in St. Petersburgh, Crowne Plaza Ligovsky may also be used on some departures. Hotels will be confirmed with your documents.